PS3 developer Arch has released an update to his popular PS3 firmware spoof enabler / disabler, it now supports spoofing your PS3 up to the latest PS3 firmware 4.76. With the PS3 Official firmware update 4.76 being mandatory, CFW users were not able to login to PSN and use other online features of their consoles, but now thanks to this new update, CFW will be able to spoof their PS3 firmware version to the latest one and be able to continue on with their online shenanigans. CFW 4.46.1 Rebug REX in normal mode only ! REBUG 4.65.1 or 4.65.2 REX only in Normal mode ! REBUG 4.70.1 REX only in Normal mode ! REBUG 4.75.1 REX only in Normal mode ! 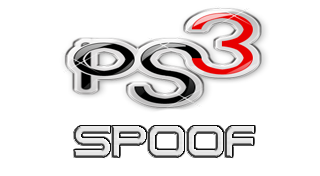 You can always check back here to get the latest PS3 Spoofer.